Every year, we will be selecting up to four (4) official Tell Every Amazing Lady® Youth Ambassadors. 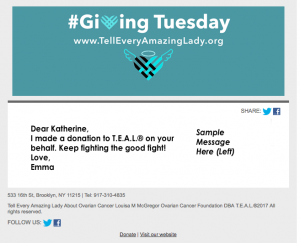 Our T.E.A.L.® staff will guide, mentor and develop trainings for ambassadors to implement as they engage and educate diverse audiences about this important women’s health issue. This Ambassador Program will provide unique hands-on, learning experience with opportunity for building essential leadership skills. 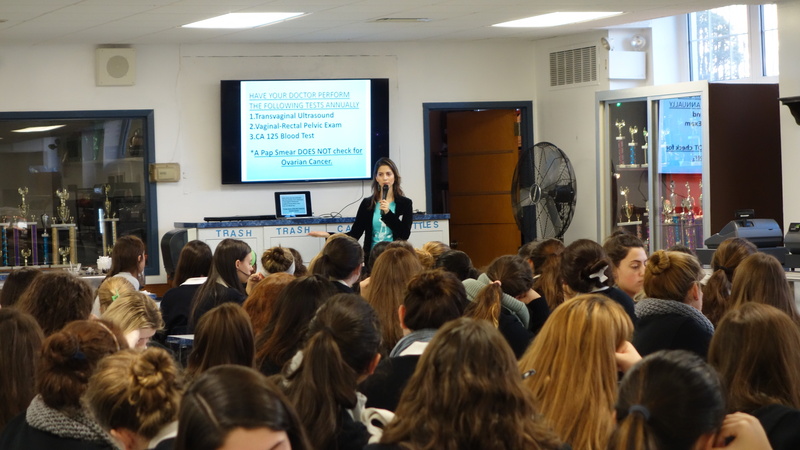 Beyond being a great addition to any student’s resume, this program will provide the unparalleled experience of directly impacting one’s own community by promoting life saving information. Our Tell Every Amazing Lady® Youth Ambassador(s) will act as a representative of T.E.A.L.® to help expand our awareness endeavors to educate, engage, and empower women & girls in their community to Tell Every Amazing Lady® about the signs, symptoms, and risk factors for ovarian cancer through awareness events, partnerships, campaigns, wellness activities, volunteerism, and additional dynamic opportunities. Community Service Hours available through this program. Selection will be highly competitive and determined based an online application process where individuals can self nominate or nominate peers to become a Youth Ambassador. Selection will take place by mid April. The program will begin in mid April and end in October, ultimately resulting in September Awareness event(s)and outreach.Active planning will take place between May and June. 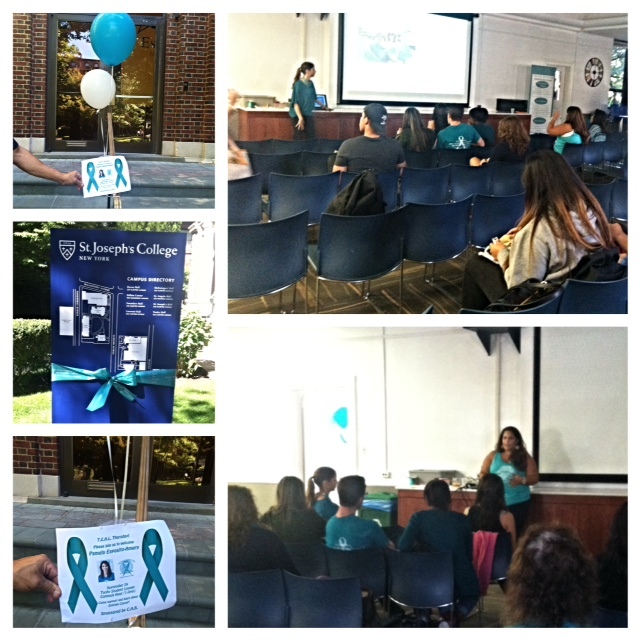 Most awareness and outreach related activities will take place in September during ovarian cancer Awareness month. An Award Ceremony with a plaque for T.E.A.L.® Youth Ambassador(s) will take place at the project’s end in October. By circulating T.E.A.L.®’s printed and digital educational materials (in multiple languages), our Youth Ambassador(s) will spread our message of awareness, early detection, and prevention mobilizing women to listen to their bodies and take action in their community to promote women’s health and wellness. 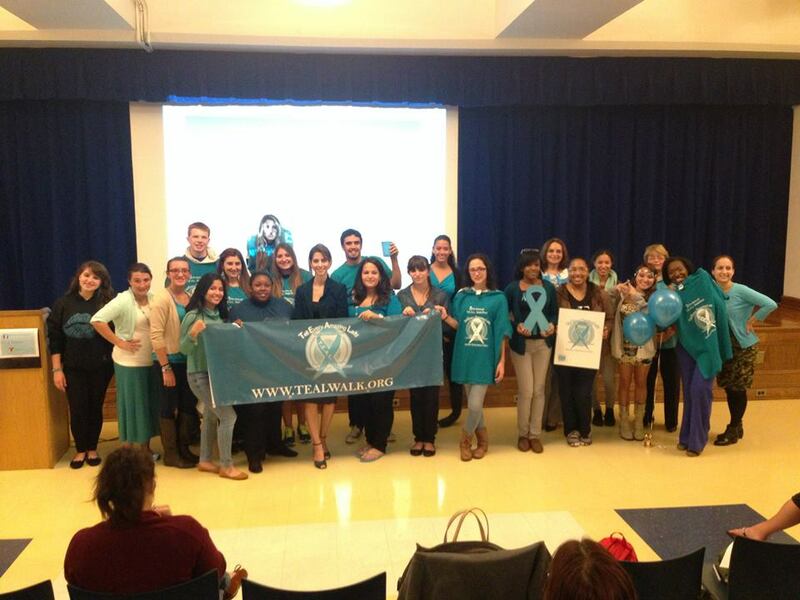 All T.E.A.L.® educational materials have signs and symptoms for ovarian cancer listed on them that can save a life. Educational materials include our Awareness Cards: Our uniquely designed awareness cards explain the signs and symptoms of ovarian cancer and risks to ask your doctor about. These are disseminated year round all over NYC and beyond providing life saving information. 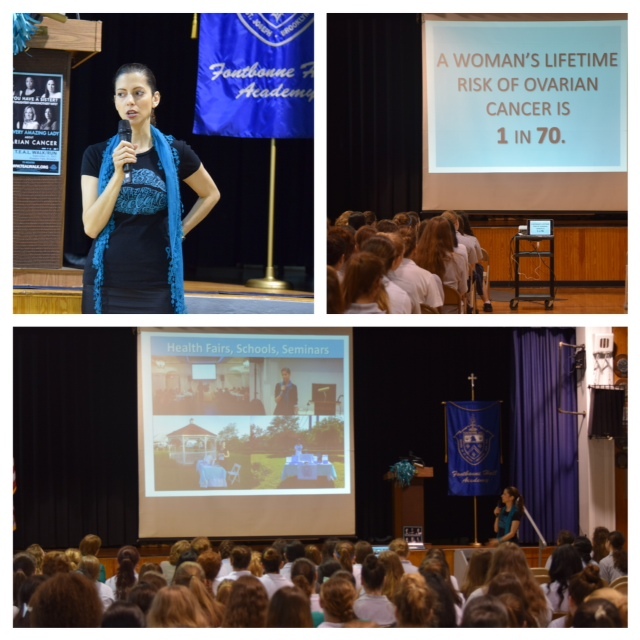 Our Youth Ambassadors who will interact with communities beginning within their own school and expand through targeted partnerships with other schools, community groups & organizations, businesses, and medical centers to promote our mission of Women’s Health Awareness with an ovarian cancer focus. 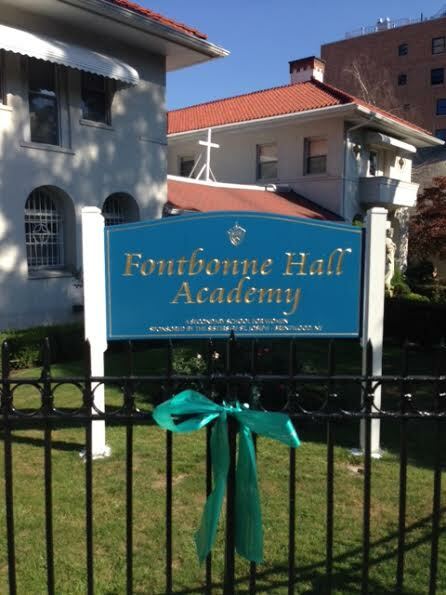 Using favorable awareness models used by volunteers and partners at other Brooklyn schools including Fontbonne High School and St. Joseph’s College, our Youth Ambassadors can use similar awareness building activities during September, Ovarian Cancer Awareness month such as organizing a school wide teal assembly, bake sale fundraiser, video recording of a public service announcement, starting a team for our Annual Brooklyn T.E.A.L.® Walk/Run, and more. With the understanding that each Ambassador will start within the framework and core community of their own school to spread awareness, the ultimate goal of this program is to expand the student’s education and collaborative endeavors beyond the individual school setting to target female communities in New York City through partnerships with other schools, female centered community groups & organizations, businesses, and medical professions to join our T.E.A.L.® movement. The long-term purpose will be to Tell Every Amazing Lady® to listen to her body. As a foundation, the goal of this program will be to start in our backyard so that we can ultimately expand into other neighborhoods throughout NYC.